A new survey of UK consumers, commissioned by Lithium Technologies and conducted by Harris Poll, has confirmed what we all know – seven in ten UK adults, says the survey, will not buy something that does not have positive online reviews. We’re the Trip Advisor generation after all – we trust the opinions of our peers far more than the marketing spiel on a brand website. Unfortunately it’s one thing to recognise the importance of independent online reviews, but another to make them happen. Building reviews into your customer journey and encouraging feedback is one way to go – proactively reaching out to bloggers and other online influencers is another. But just how to go about it? As a blogger and marketing consultant I see both sides of the coin. “We’ve tried working with bloggers,” companies will often say to me “but it didn’t go very well. We sent out products, but we never heard back.” A common complaint, caused in the most part by a lack of proper research and communication in terms of expectations from both sides. For many small businesses especially, it’s simply a lack of time or skill in terms of knowing what to look for, or how to pick bloggers effectively. Often they’ll stumble upon someone who looks half decent, and go with them, for lack of other options, but that’s really not ideal. You may love a blog’s design and swoon over their photography, but think carefully about their target audience. You wouldn’t advertise a product for men in Vogue, no matter how fabulous a publication it might be. If you’re not sure, ask. A decent blogger should be able to provide you with some information about their blog and social media demographics so that you can decide whether or not they are a good fit. As a blogger, I pride myself on being responsive, efficient and professional at all times. 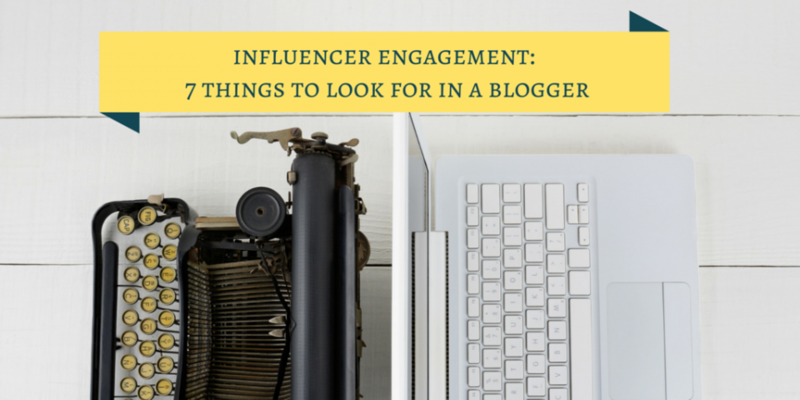 It sounds obvious, but there are plenty of bloggers who aren’t. If you find your first email takes a week to be answered, this may not be a good sign. You want to work with someone who you can rely on to produce quality content within agreed timescales. Does the blogger’s style of writing and tone of voice match your own? Will they represent your brand in a way that feels natural and authentic? The appeal of working with bloggers is that you can engage with their audiences in an organic way, so it shouldn’t feel like you’re having to force a fit. They might be a great writer, but the visual element of a blog is as, if not more, important, especially if you are looking for your blogger to showcase a product or event in a positive light. Ideally you’re looking for large, full post width images, that are clear, bright, and visually appealing. Small or blurry images, where little effort has been made, should be a red flag. You can get an idea of a blog’s popularity by looking at their social media profiles, but don’t be afraid to ask for more detailed statistics. A lot of bloggers will be able to offer you a media pack, and do ask for screenshots of Google Analytics if you need accurate, current data. As well as looking at the numbers, have a look at levels of interaction and engagement, both on posts and on social media. Don’t be too put off if individual posts don’t have a lot of comments – a lot of discussions have moved onto other platforms, so if your blogger has great conversations on Facebook and Twitter instead, that’s all good. Beware of bloggers you simply broadcast their own content with little sense of community. The obvious thing here is to have a search through recent posts to check for work with recent competitors. Of course a blogger is independent, and should be able to review competing products, but if you’re a natural juice company and just last week they were raving about how a different natural juice company are the BEST EVER, they probably aren’t going to convince their readers that your brand is suddenly the next best thing. Do you have any experience of working with bloggers that you’d like to share? 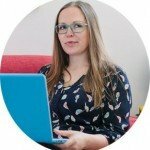 What are the things you look for in a blog partner?